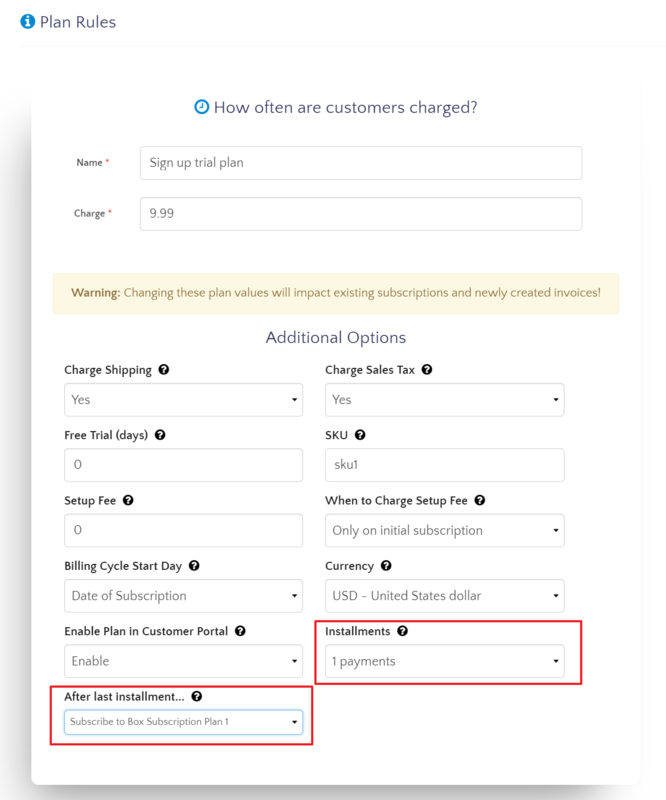 You can create completely custom billing schedules for your customers by chaining payment plans together on PayWhirl. On PayWhirl, payment plans are essentially the "rules" that you setup to charge your customers. Plans can be configured to bill customers continually, on a set schedule (weekly, monthly, etc), on specific days of the year (you pick on a calendar) and/or for a specific number of payments (aka installments). If a plan has a specific number of installments set, (2 for example) you will see an additional setting that allows you to configure what happens "After the last installment'" is processed successfully by the plan. 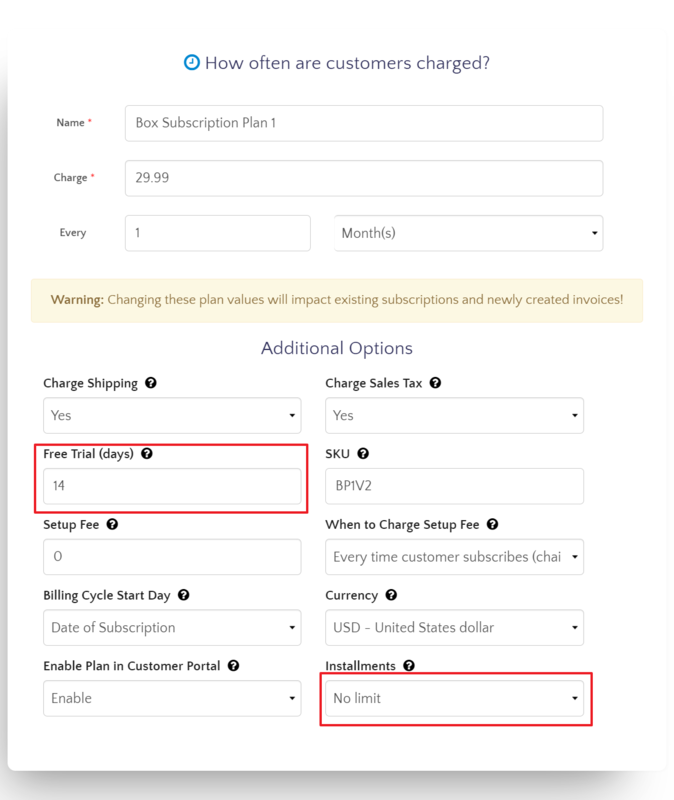 By default, the subscription will be cancelled once the last payment has been made for an installment plan, but you can also select any existing plan to chain them together and create a unique billing frequency / schedule. 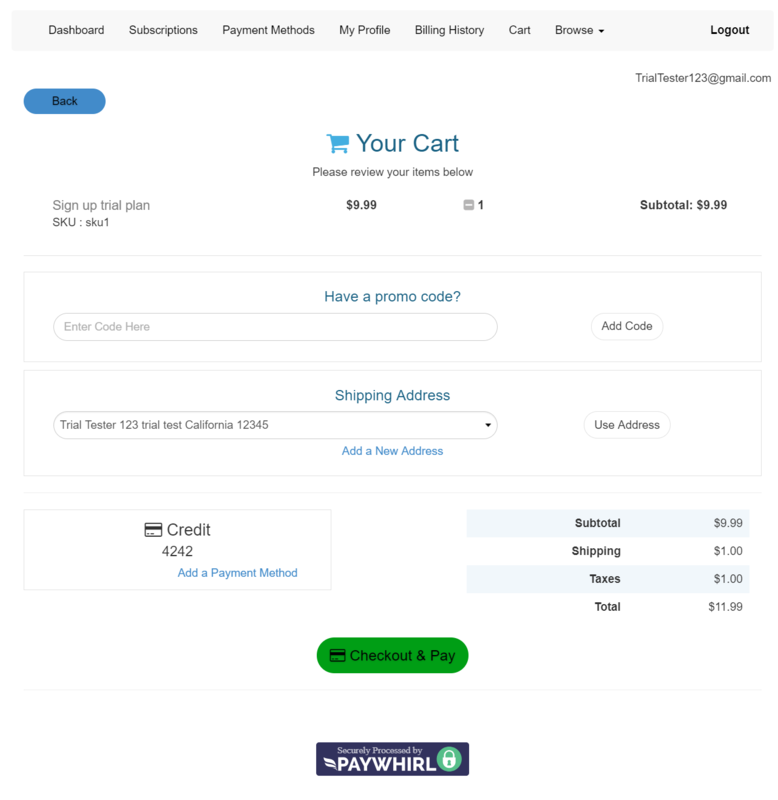 This is one of the more powerful features of PayWhirl and can be used to accomplish custom billing and/or shipping schedules. Trialing - Chaining plans together can allow you to customize a subscription trial period and gives you the flexibility of changing your plan settings between plan(s). 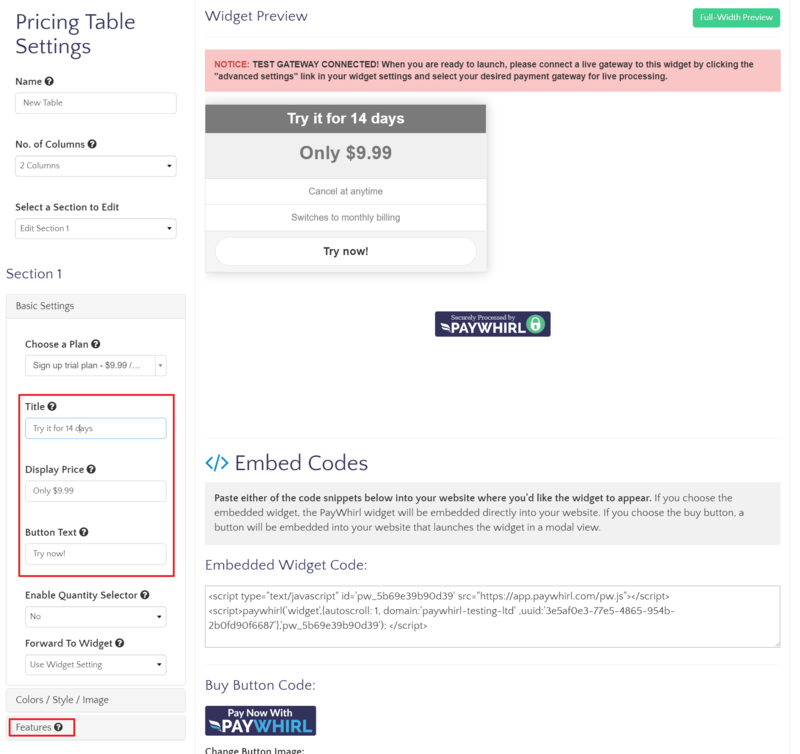 Interval Pricing - Automatically discount your pricing after a set interval. For example, after 12 payments you could transition customers to a discounted plan automatically. Incremental / Sequential Subscriptions - Move customers from plan to plan as needed to create a completely customized billing sequence. This can also be used for digital subscriptions if you need to send out a different file each billing period. Prepaid Subscriptions - For example, bill your customers once every 3 months, but still generate orders every month for fulfillment... By chaining plans together, you gain complete control of how EACH plan places orders, charges taxes, shipping, etc. WARNING: The first installment on a chained plan bills instantly, so you will most likely have to use TRIAL PERIODS to prevent double billing. In this example we will use two plans to setup a subscription with a trial period that gives the customer a 14 day trial at a reduced rate of 9.99. After the trial ends the customer will be charged the normal rate of 29.99 per month. Plan 1 - Bills 9.99 and has ONE installment (payment) then subscribes the customer to Plan 2 after the last installment. Plan 2 - Has a 14 day trial, normal pricing of 29.99 and has NO LIMIT for installments. Once we have both plans created, we just need to add the FIRST plan we created in the chain to a widget. This allows the customer to purchase the "trial plan" that will automatically transition the customer to the "ongoing plan" behind the scenes. You can customize the text of the widget or use the features section to explain how the process works to the customer. 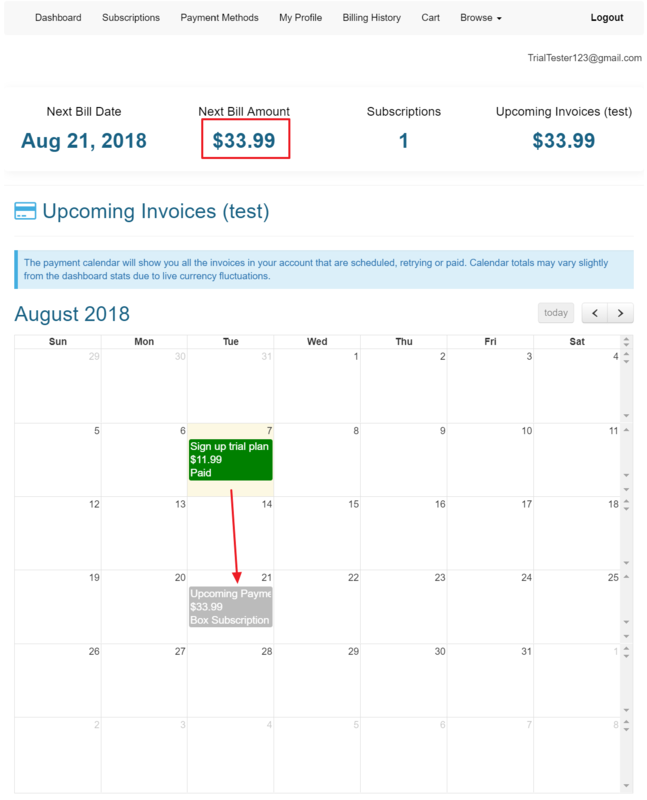 After customers complete checkout they will see their upcoming invoice(s) in the payment calendar and can make changes to their subscription as needed. As with everything, please test chained plans thoroughly to make sure that everything works as you intend prior to launch. Additional Notes: Promo codes will only apply to the FIRST plan in a chain, discount codes are associated with subscriptions (plans) and will NOT transition from plan to plan with the customer.